Why I am supporting Jeremy Corbyn A Life Less Ordinary. 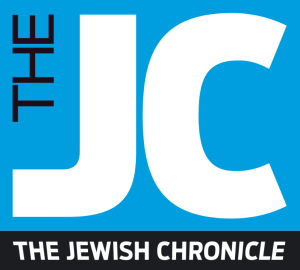 The Jewish Chronicle has this week published an editorial under the title: The Key Questions Jeremy Corbyn Must Answer. It concludes that: “…. 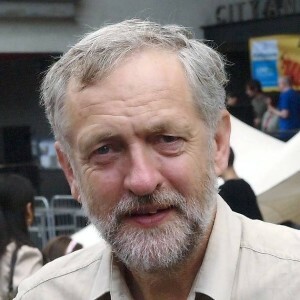 it is little short of astonishing that a man who chooses to associate with racists and extremists is about to become leader of one our two main parties and could conceivably become Prime Minister.” (Full article can be found here.) As a Buju* – and a card-carrying synagogue member – I would like to assert that it is precisely because he associates with those who currently oppose the State of Israel, and doesn’t label all opponents of Israel as ‘racists’ and ‘extremists’, that I am not in any way dismayed by Corbyn’s political stances on Israel. The views expressed in the Jewish Chronicle article are not exactly surprising given that they mirror the majority view held by diaspora Jews that they must offer unqualified support for Israel, as there are enough critics of that country among non-Jews. I am in the minority camp that has believed that Israel needs to receive both criticism and praise from its Jewish supports that don’t live in Israel. Furthermore, I do not accept ‘eye –for-an-eye’ arguments that are used by their governments to explain away Israel’s misdeeds. I strongly believe that Israel has made many mistakes and has lost opportunities for peace as a result. Moreover I would dearly love to see Israel judge itself on high, not comparative, moral standards. Now isn’t that EXACTLY what people, who wish for peace in The Middle East, want from a politician? * “A Jewish Buddhist (also Jewbu or Jubu or Buju) is a person with a Jewish background who practices forms of Buddhist meditation and spirituality”. [Source: Wikipedia]. 2 Responses to Oy Vey! I think you are stepping into a dangerous territory , in more than one sense . I have no political leanings but a politician, making statements that are designed to appeal to as wide an audience as possible and delve into highly complex issues that should not be reduced to political soundbites ,is inviting a response from those who he has offended. However , anybody with a greying beard gets a few brownie points from me ! Lee, I must disagree with you most profoundly. As you put it, ‘making statements that are are designed to appeal to as wide an audience as possible” is the stance of a conciliator and a peace maker. On the other hand statements that take one side as opposed to another, are at best divisive and at worst warmongering. And not to say anything at all is indifference. So yes, Corbyn’s stance has its dangers, but it’s progressive and offers hope – and I’d rather have that any day.